For an eye-catching addition to your carnival, fair, theatre, or party, use this Carnival King popcorn bag to serve up hot, buttery popcorn. Each 4 3/4" x 1" x 12" bag holds 2 oz. 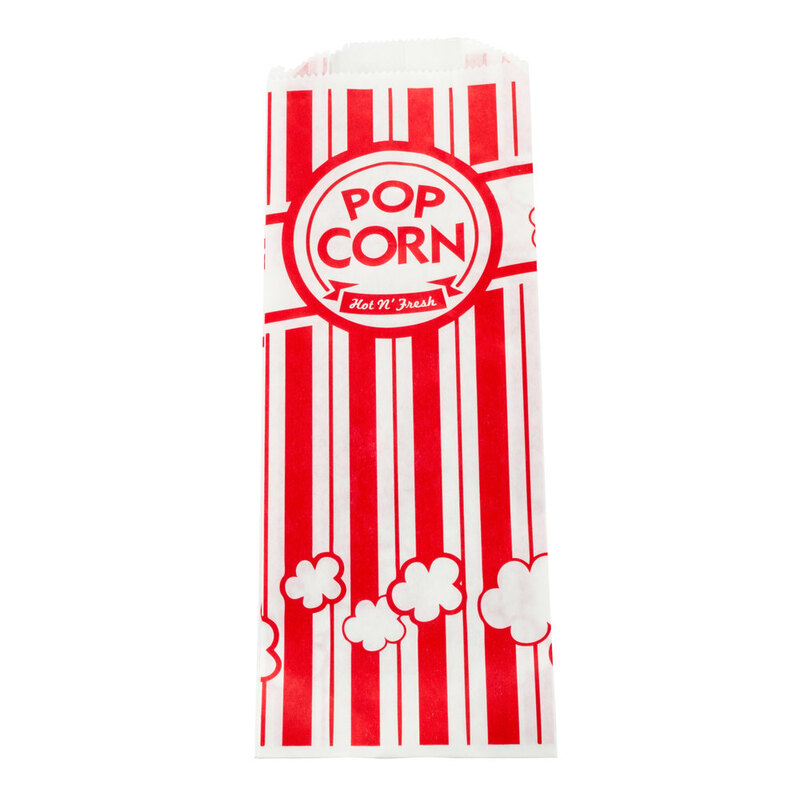 of popcorn and has a fun and vibrant white and red design with the words "Pop Corn" in a featured circle!